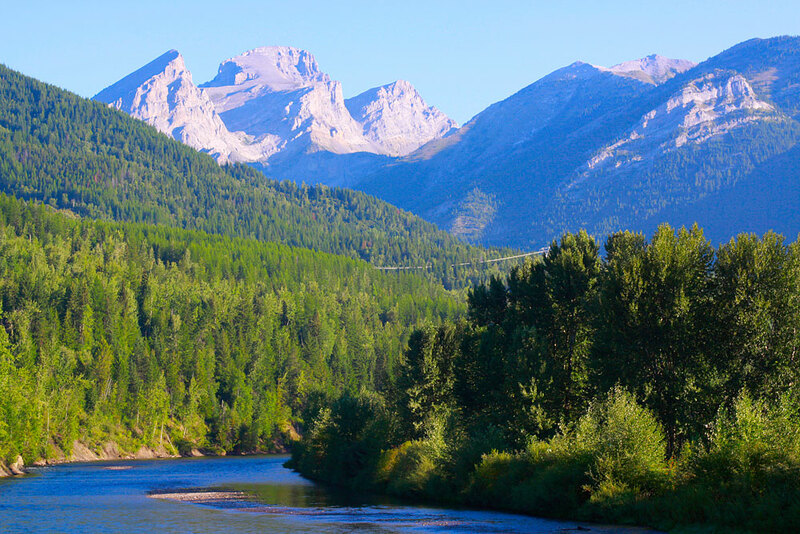 A journey down the Elk River will take you through the Kootenay region of southeast British Columbia, a rugged stretch of the Canadian Rockies. Along the way, you might enjoy fly fishing on the Elk River or take a break in the towns of Elkford and Elko (and yes, you may even encounter an elk or two). This region of British Columbia has historically been supported by coal mining, one of the region’s primary industries, but tourism is a growing attraction. With views like this, we can see why. The Elk River is a 220-kilometre long river, in the southeastern Kootenay district of the Canadian province of British Columbia. Its drainage basin is 4,450 square kilometres in area. Its mean discharge is approximately 60 cubic metres per second, with a maximum recorded discharge of 818 cubic metres per second.